Did you know that every year there are over 4,000 fiestas in Galicia? With this amount of celebrations, the Gallegos need a lot of wine; and boy do they have some amazing wine. In fact, the wine was one of the reasons why I wanted to visit Galicia. Of course, Galicia is famous for the city of Santiago de Compostela which is where pilgrims complete their journey after walking through parts of Spain, Portugal, and France. The landscapes in Galicia are stunning and the region is filled with lush green forests. It also has hundreds of beaches that can be enjoyed during the summer months. 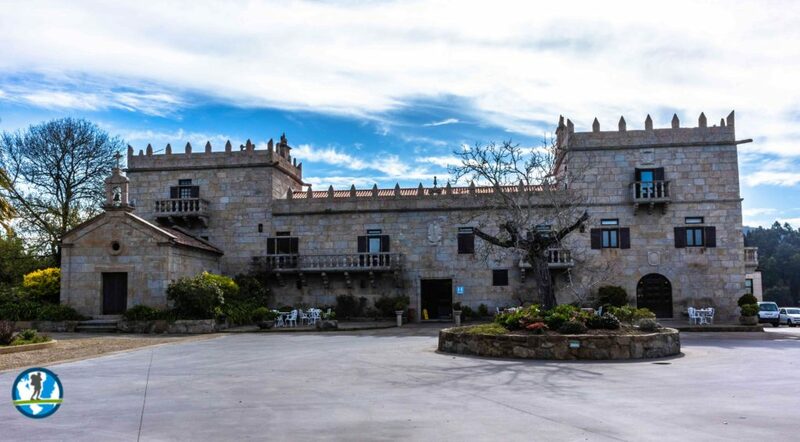 As I mentioned, one of the reasons I traveled to Galicia was to search for amazing bodegas (wineries) and I also wanted to create a new wine escape for WTT. I couldn’t have been more satisfied with the wineries I visited. I also found the Gallegos to be open and very friendly. 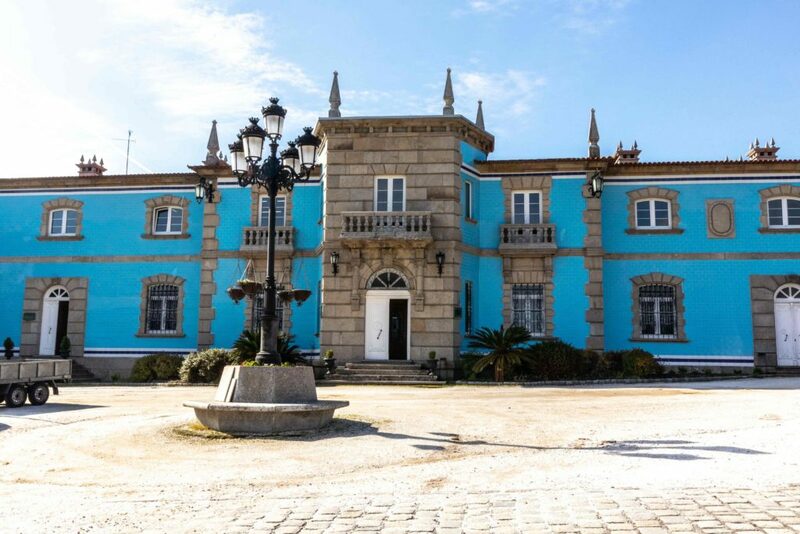 Old palace at the Pazo Baión Winery. There are five main wine regions in Galicia: Ribiero, Ribiera Sacra, Valdeorras, Monterrei, and Rias Baixas. 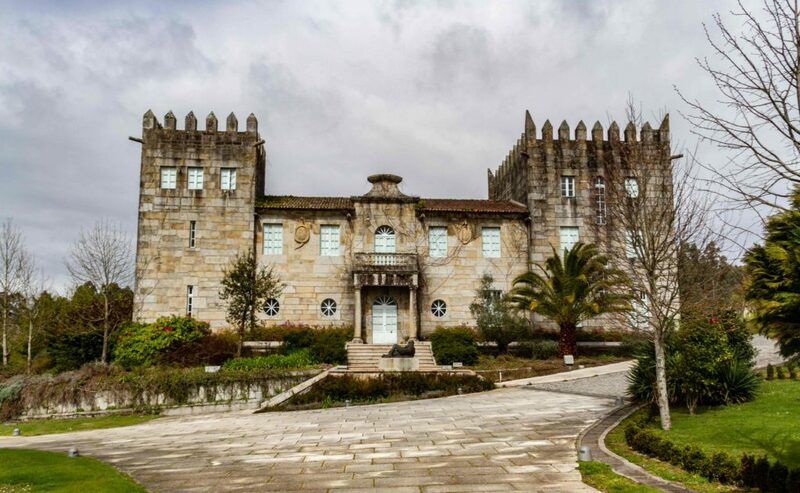 It is in Rias Baixas that I visited and focused my efforts due to its internationally famous Albarino grape which the locals will tell you has led the resurgence of the wine region. I made my way to my hotel Pazo O’Rial in Villagarcia de Arosa after a two-night stay in Vigo, Spain. From my hotel, I was able to visit all three wineries in three days. Each winery was within 15 miles of the hotel. The first winery I visited was, Pazo Baión. If you’re looking for a winery with stunning landscapes and centuries worth of history, Pazo Baión will not disappoint; nor will the wine. This beautiful winery has passed through different hands since the 15th century. I was excited to visit the winery due to its history stunning views. The 76-acre winery is single vineyard winery. Their Albariño is made exclusively from grapes from the vineyard. Day two was filled with more learning and exploring the amazing city of Cambados. However, in the early afternoon, I visited the famous winery, Bodegas Martín Códax which was founded in 1986 after a famous medieval poet. The poet wrote about his love for Galician coast and the sea. The winery could not have selected a better name for this winery. I loved all three wines I tasted, but my favorite was the Lias. However, their flagship wine along with the Organistrum was also amazing. The most interesting thing about the winery is that it is set-up as a collaboration of over 300 families whose grapes are supplied to the winery. They pride themselves on being a winery of the people for the people. On day three, I headed north to Santiago de Compostela but on my way, I visited my third amazing winery, Granbazán. The winery has been in production since 1980. I was impressed with the three bottles I tasted. The winery not only offers amazing wine, but also canned delicacies like sardines and clams. I enjoyed all three wines, but my favorite was the Limousine. I enjoyed it so much, I had to take a few bottles back to my hotel for further tasting. However, you will want to also try their other tasty bottles. Try the Etiqueta Verde and Etiqueta Ambar. Galicia can receive up to 50 inches of rain per year, that is why its best to plan your trip from May to August. If you’re interested in experiencing the wine harvest, you should plan your trip from late September to early October. Contact the wineries for further details. 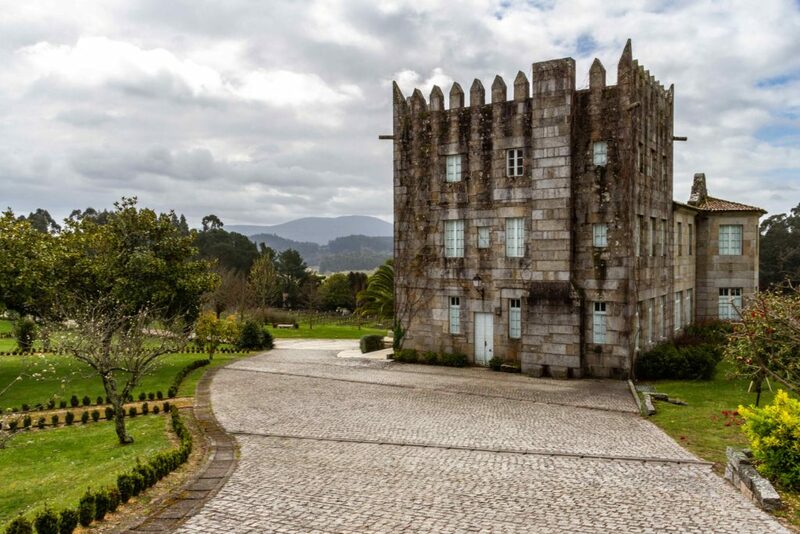 I had an amazing three-night stay at Pazo O’Rial. The staff were friendly, professional, and always helpful. I had a wonderful experience at each of these wineries and I know you will too. 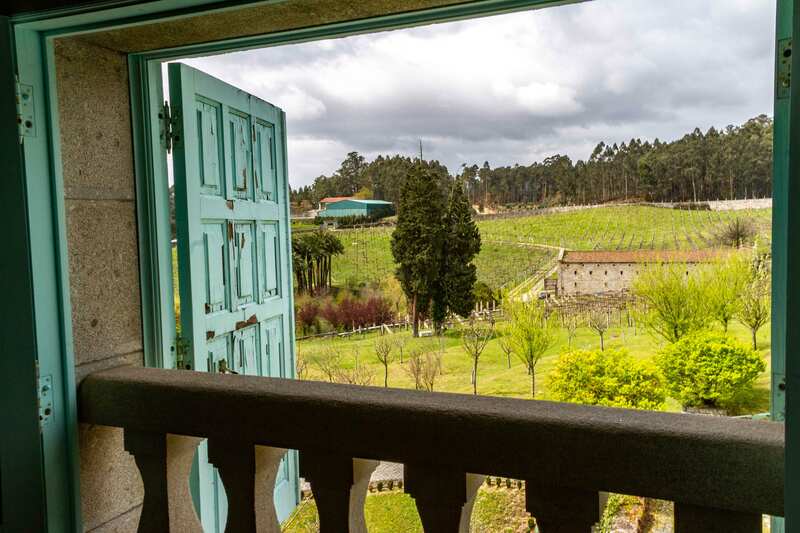 If you’re planning to visit wineries anywhere in Europe, do not overlook Galicia. Not only are the wines amazing, but the overall trip cost compared to other European wine regions might be a no-brainer. Are you planning a trip to Spain? Join one of our customized Spain Escapes. SER: “to be” simple. easy. real. This post is the second part of SER. If you missed part one, you can see it here at SER Part One: Interview with Javier Candon. Join me as I explore SER in search of Fab Food. I will show you SER’s trendy look and then dive straight into a three course meal that will make your mouth water. Main Course: Grilled Grouper and Cordero a la Plancha (Lamb leg fillet). Dessert: Goxua (cold layered dessert, strawberries, cream, sponge cake, custard) & Arroz con leche Asturiano (Caramelized rice pudding Asturian style). Special thanks to Ryan Leon, Javier Candon, and SER’s staff for an amazing experience.